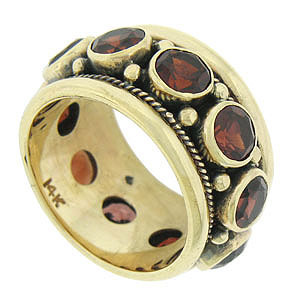 Bezel set garnets burst from the center of this handsome 14K yellow gold estate ring. 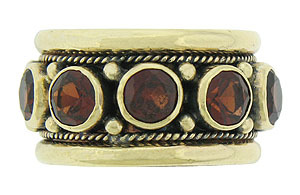 The wide band is adorned with twisting yarns of gold, while bold milgrain decoration interrupts the deep red garnets. 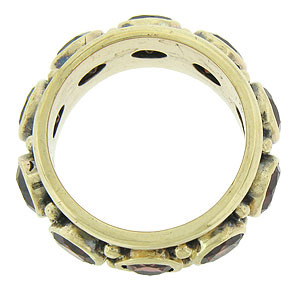 The ring measures 11.64 mm in width. Circa: 1950. Size 5 3/4. We cannot re-size.